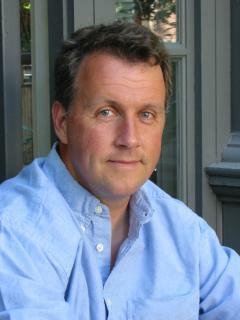 Probably best known for creating the website that became Yahoo Store (in LISP) and then selling it to Yahoo — along with creating Hacker News and arguably inventing the modern spam filter, Paul Graham spends his time lately running Y-Combinator, the seed venture capital firm he founded in 2008. Y Combinator funded AirBnb, Stripe, Reddit and DropBox, with initial investments of $120,000 now valued at hundreds of millions. When Paul Graham talks, people listen. Last week he introduced an essay on immigration titled Let the Other 95% of Great Programmers In. I think he’s completely wrong, and I’d like to tell you why. “Let the other 95%….” argues that the United States needs to raise the cap on visas for technical staff because their just aren’t enough awesome programmers in the US. That presupposes that the existing cap is too low, and also that the the visa program is effective at getting exceptional candidates. Then they show up, and the bet seems to be that they can figure out what is going on before we, the employers, figure out what is going on. I knew those resumes looked too good to be true. The employees working in the system think the company is overpaying for work that is not very good; in fact, they often have to clean up the mess when the contractor leaves. The company is overpaying for work that is not very good – though it is likely at a 10-15% discount from market rates. The reason that discount is possible is because the poor contractor is getting 25-50% less than market rates for a qualified person, but is likely unqualified. Imagine having to live with the weight of a lie plus the fear of being caught? That may be an extreme example, but it is a real one. Our Visa Programs aren’t bringing in the best and brightest, they bring in the cheapest and the easily manipulated to work with companies that have lost control of hiring to the bean counters and lack the discernment. These stories seem horrible, and to those of us raised in the United States. If they seem absurd, it is likely because we live in a world of privilege, where starvation and poverty have been mostly eliminated. Imagine the tables are turned, and it only takes a few lies to feed your family. You don’t even have to tell them; just agree to be whoever the recruiter tells you you are for this contract. The “Fraud Triangle” of Law Enforcement is suddenly activated: All you need for fraud to occur is to combine opportunity, the ability to rationalize the decision, and some sort of financial pressure. Add a developing nation where the companies, educational background, and references are extremely hard to check and combine with a culture where leaving the end client of experience is easy to leave off the resume, and you make it easy to lie and hard to get caught. The immigrant visa-for-specific-employer system both creates liars and also keeps them trapped working for the employer that set them up. About halfway through this essay I started to wonder what Paul Graham could possibly be on about. The visa sponsor system causes harm. Who would want to help it? Perhaps he doesn’t want to help it. Eliminating the cap removes the bureaucracy. Real employers, not contractors, would hire employees directly and that would need to include a relocation bonus. They’d need to structure the interview so they were sure they were getting a good hire and create the kind of work environment where the candidate would stick around for awhile. If that’s what Dr. Graham was speaking of, gosh, I’m impressed. I just wish he’d be a little more clear about it. Businesses want immigration rules relaxed because they say they want to bring exceptional talent in from other countries, but the community doesn't really trust them not to use these rules to bring in laborers willing to work for peanuts, depressing wages across the country. What to do? The United Kingdom has a visa program that solves this pretty neatly. If you're a UK business and you want to bring in foreign workers, they are exempt from quota restrictions if you pay them a high enough salary! That's right, if you have positions that you can't fill that pay 150,000+ GBP (about $225,000) then their visa is approved automatically. You can expedite it so that it takes 3 days. Such an exemption for US immigration law would address Paul Graham's issue almost perfectly, given that he claims that exceptional talent is worth hundreds or thousands of times as much as the next best guy. If that's really true, then businesses should be glad to pony up the $225,000 base salary offer. MichaelB, the UK operates no such policy. The UK is part of the EU and has freedom of movement within member states, people from outside the EU will require a work permit and visa to work regardless of their salary. Relaxed immigrations rules cause lay-off, Businesses won't create budget for re-training existing workforce instead prefer to hire cheap labor on H1B. If Co. lay-off thousand of people they should never be allowed to get any immigrations talents, I have seen some of big tech co. have regular norm for lay-off, with thousand still under employed or unemployed why should we employ outside talents.